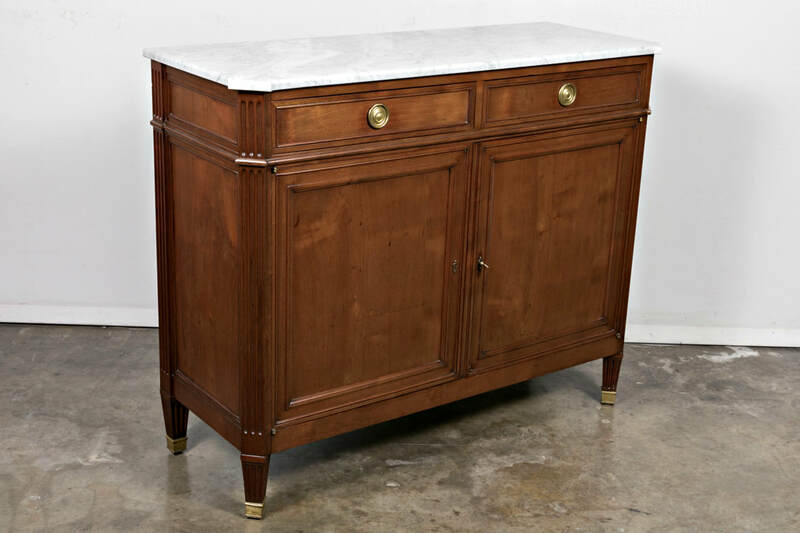 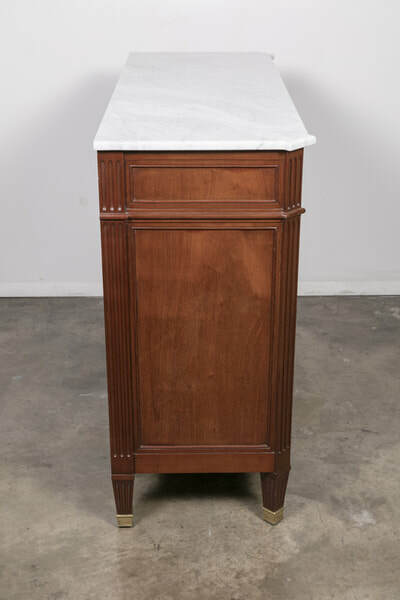 A handsome late 19th century French Louis XVI style solid walnut buffet from Paris, featuring neoclassical detailing and having a Carrara marble top with canted corners that overhang the body. Two drawers over two doors open to a single interior shelf. 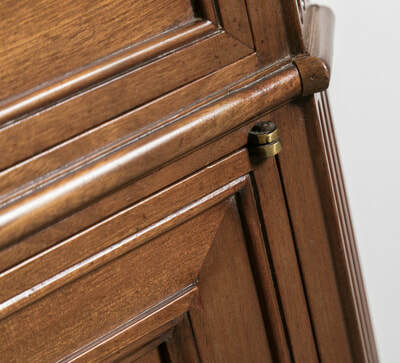 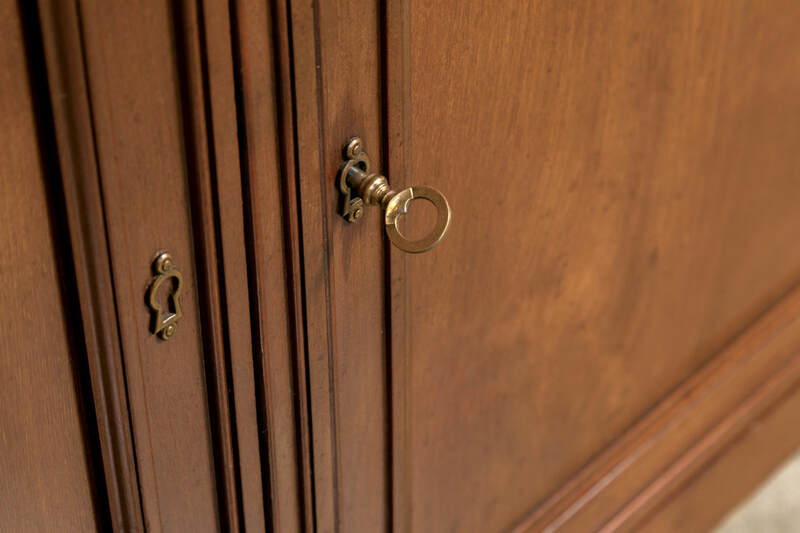 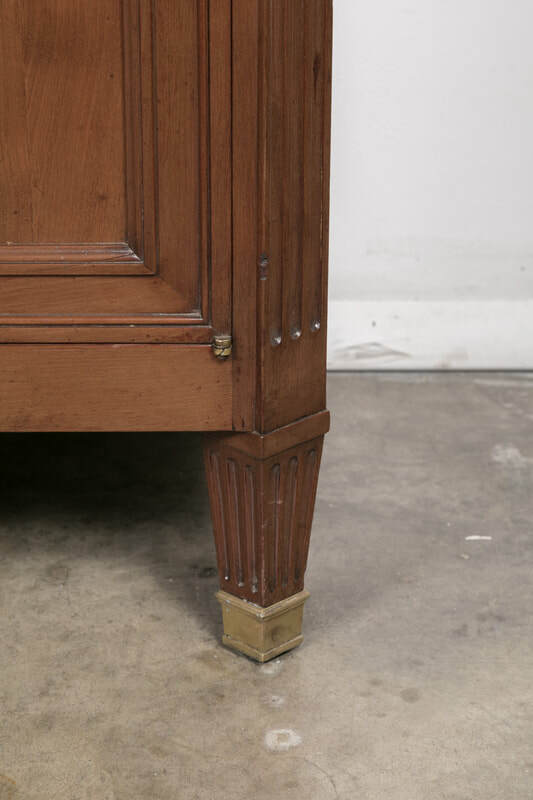 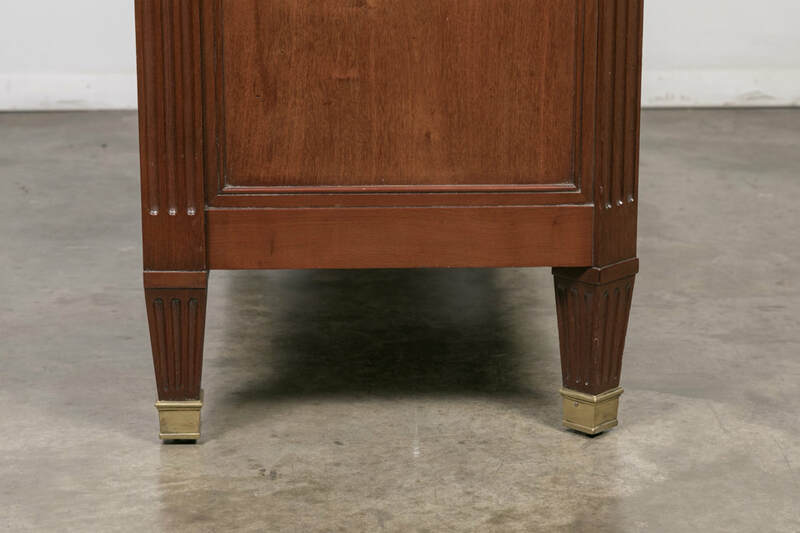 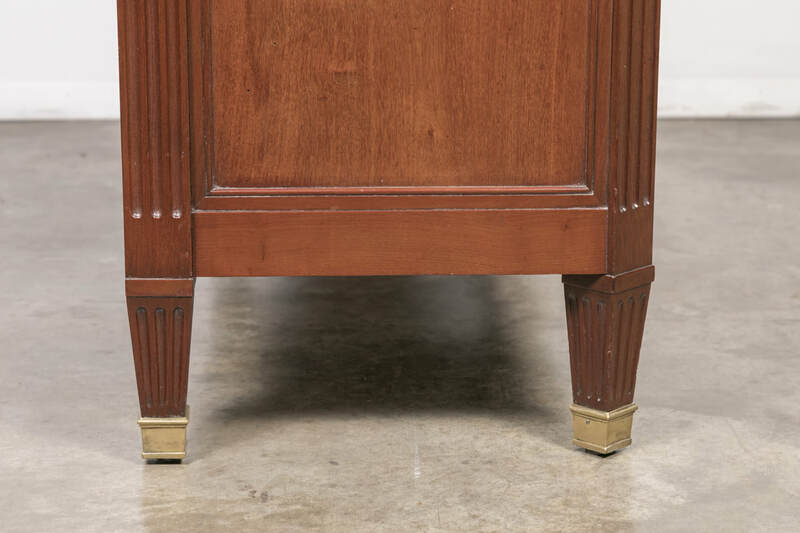 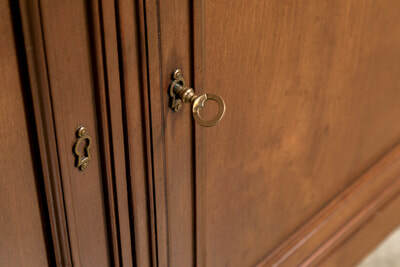 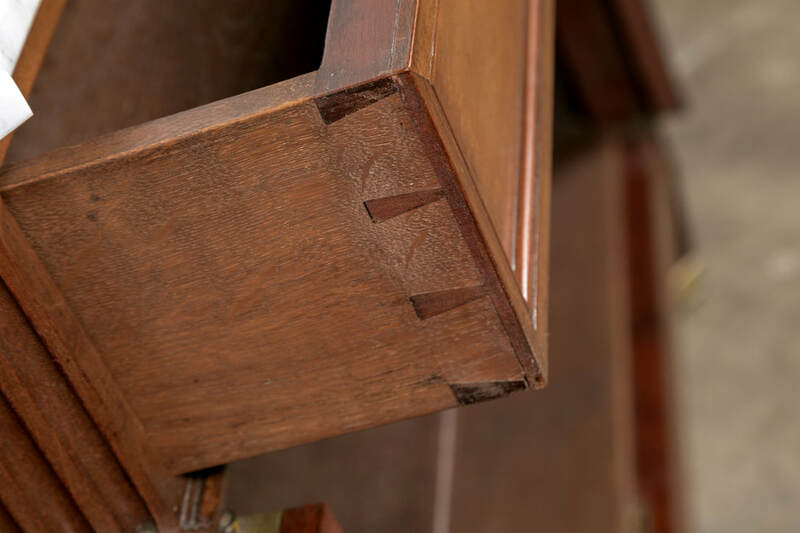 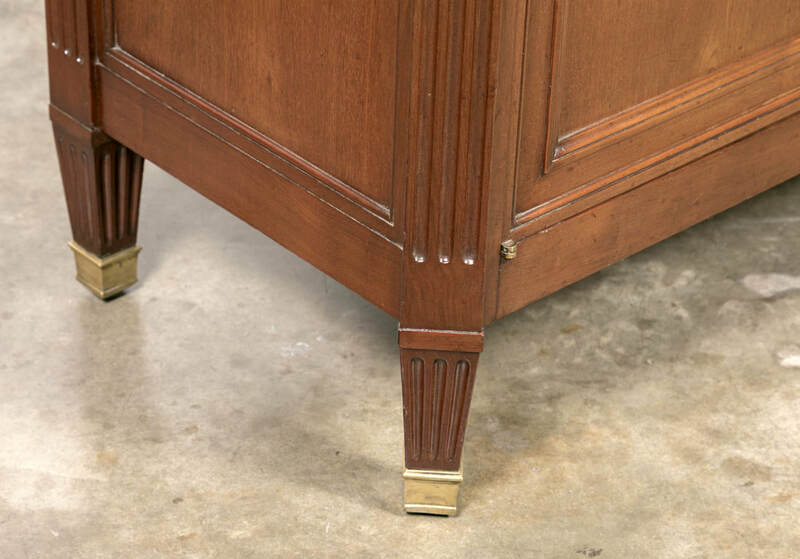 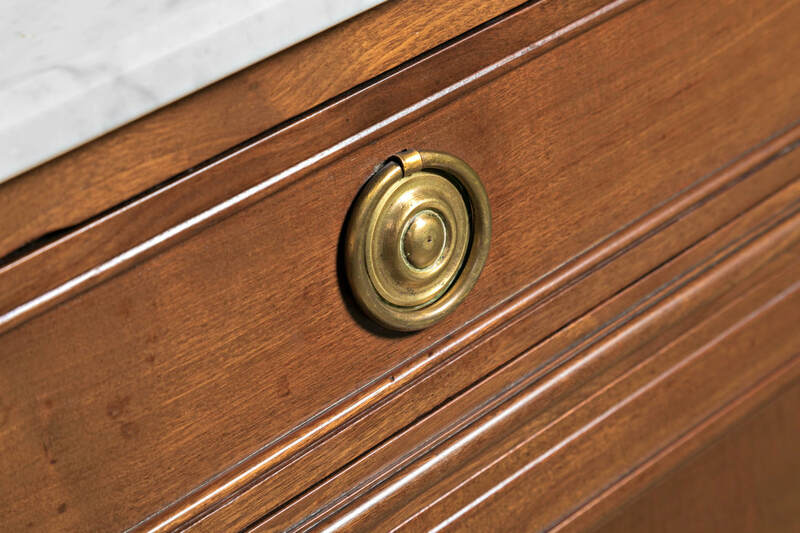 The front corners are canted with fluted carvings and sit on short tapered and fluted feet, ending in brass sabots. The interior has a single shelf. 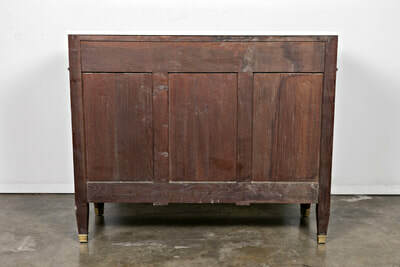 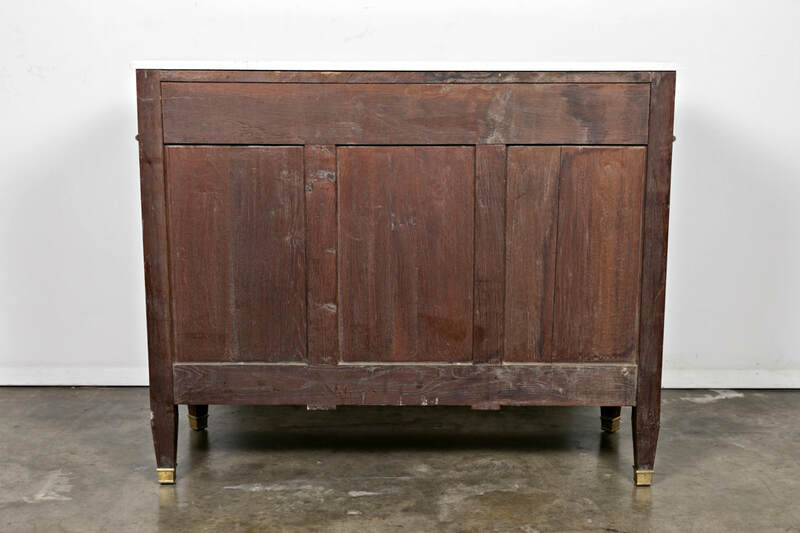 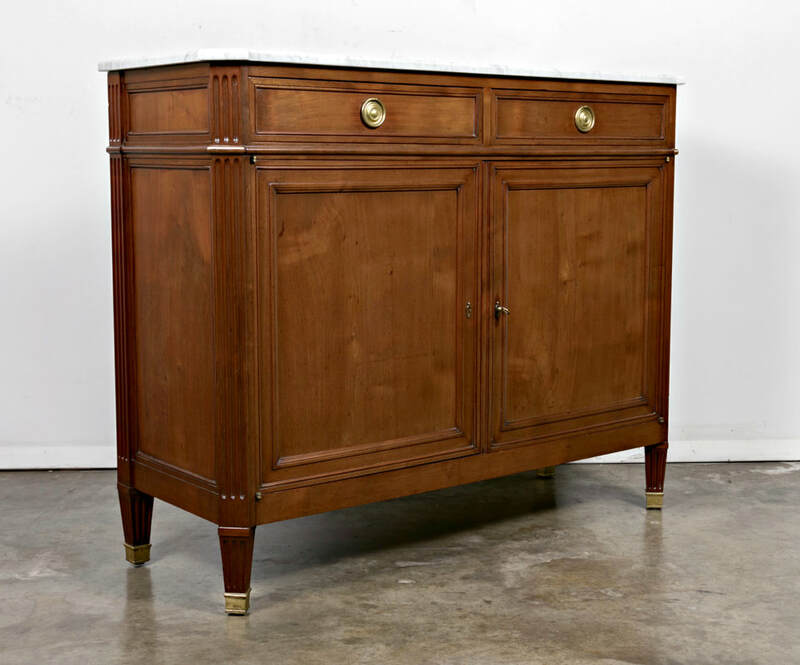 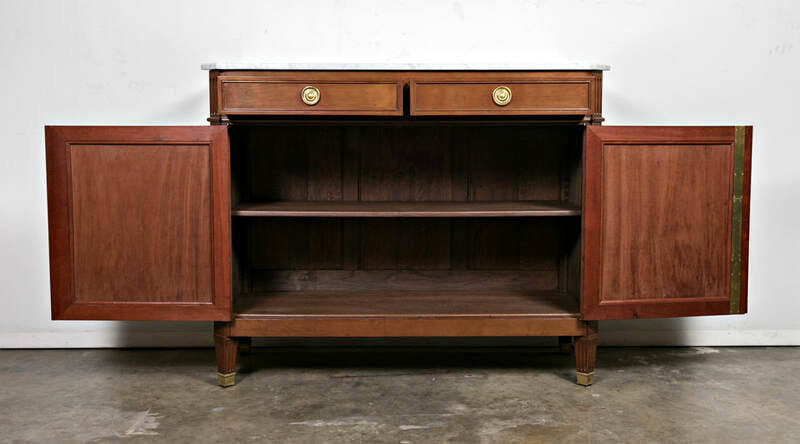 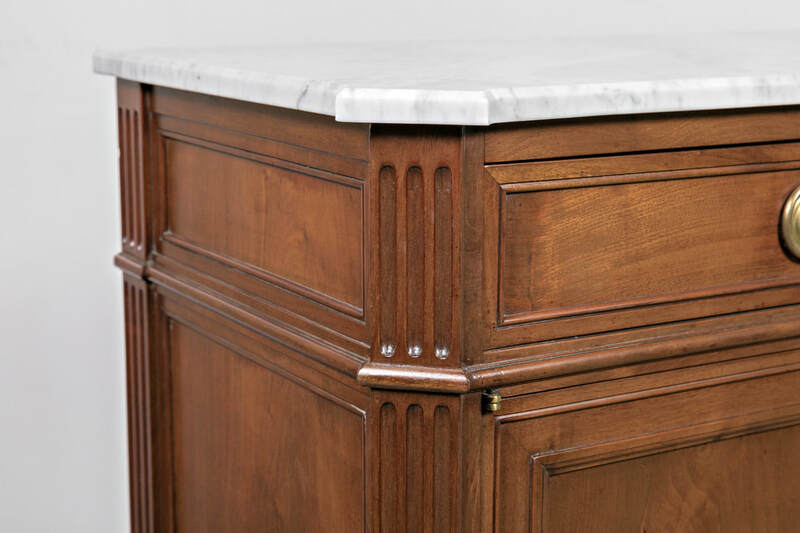 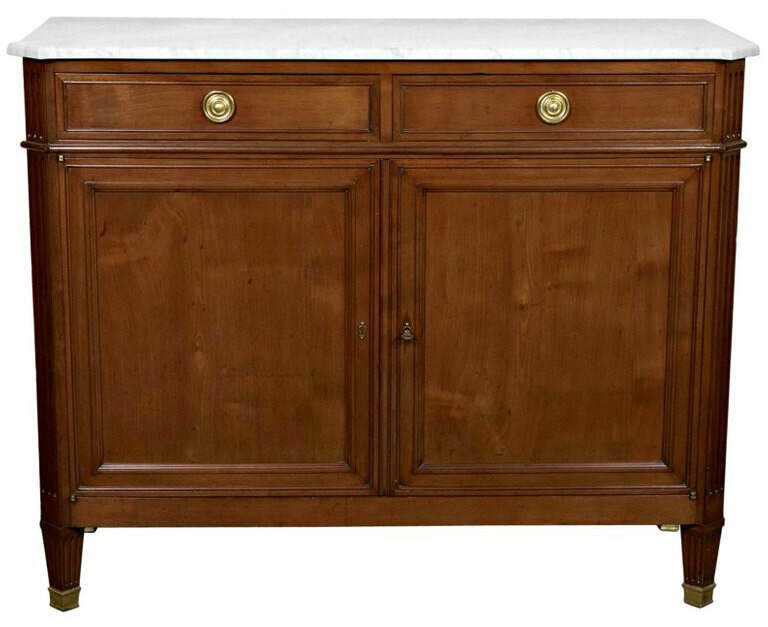 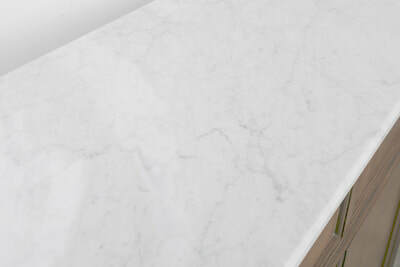 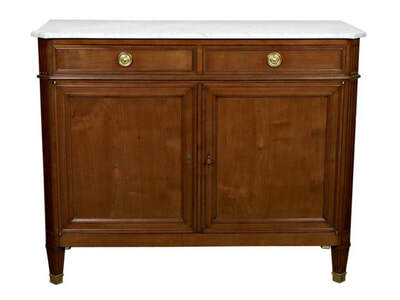 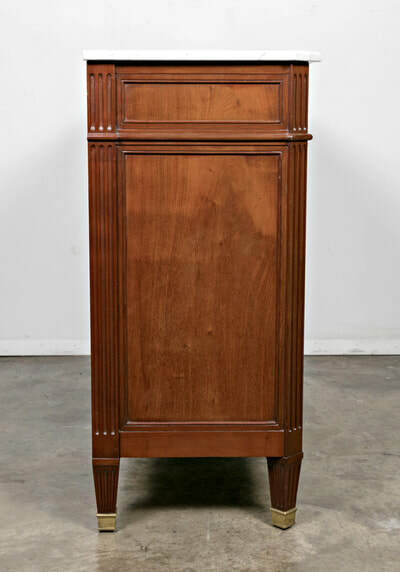 The narrow depth of this versatile piece makes it perfect for a foyer, hallway, dining room, or as a TV cabinet. 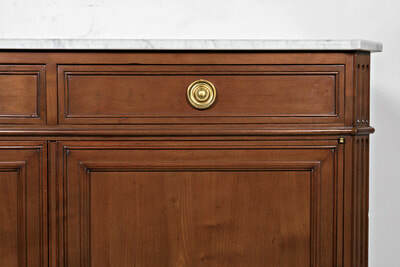 The marble is in excellent condition but is not original to the piece.